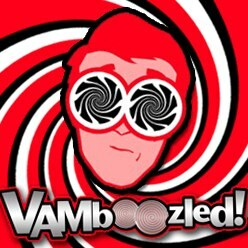 December | 2015 | VAMboozled! Two weeks ago I wrote a post about the passage of the “Every Student Succeeds Act” (ESSA), and its primary purpose to reduce “the federal footprint and restore local control, while empowering parents and education leaders to hold schools accountable for effectively teaching students” within their states. More specific to VAMs, I wrote about how ESSA will allow states to decide how to weight their standardized test scores and decide whether and how to evaluate teachers with or without said scores. Doug Harris, an Associate Professor of Economics at Tulane in Louisiana and, as I’ve written prior, “a ‘cautious’ but quite active proponent of VAMs” (see another two posts about Harris here and here) recently took to an Education Week blog to respond to ESSA, as well. His post titled, “NCLB 3.0 Could Improve the Use of Value-Added and Other Measures” can be read with a subscription. For those of you without a subscription, however, I’ve highlighted some of his key arguments below, along with my responses to those I felt were most pertinent here. In his post, Harris argues that one element of ESSA “clearly reinforces value-added–the continuation of annual testing.” He equates these (i.e., value-added and testing) as synonyms, with which I would certainly disagree. The latter precedes the former, and without the latter the former would not exist. In other words, it’s what one does with the test scores, whereby test scores do not just mean by default the same thing as VAMs. Harris discusses the controversies surrounding VAMs, as argued by both VAM proponents and critics, and he contends in the end that “[i]t is difficult to weigh these pros and cons… because we have so little evidence on the [formative] effects of using value-added measures on teaching and learning.” I would argue that we have plenty of evidence on the formative effects of using VAMs, given the evidence dating back now almost thirty years (e.g, from Tennessee). This is one area of research where I do not believe we need more evidence to support the lack of formative effects, or rather instructionally informative benefits to be drawn from VAM use. Again, this is largely due to the fact that VAM estimates are based on tests that are so far removed from the realities of the classroom, that the tests as well as the VAM estimates derived thereafter are not “instructionally sensitive.” Should Harris argue for value-added using “instructionally senstive” tests, perhaps, this suggestion for future research might carry some more weight or potential. Harris also discusses some “other ways to use value-added” should states still decide (e.g., within a flagging system whereby VAMs as the more “objective” measure could be used to raise red flags for individual teachers who might require further investigation using other less “objective” measures). Given the millions of taxpayer revenues it would require to do even this, again for only 30% of all teachers who are primarily elementary school teachers of primary subject areas, cost should certainly be of note on this one. This suggestion also overlooks VAMs still prevalent methodological and measurement issues, and how these issues should also likely prevent VAMs from even playing a primary role as the key criteria used to flag teachers. This is also not warranted, from an educational measurement standpoint. Harris continues that “The point is that it would be a shame if we went back to a no-feedback world, and even more of a shame if we did so because of an over-stated connection between evaluation, accountability, and value-added.” In my professional opinion, he is incorrect on both of these points: (1) Teachers are not (really) using the feedback they are getting from their VAM reports, as described prior, and for a variety of reasons including transparency, usability, actionability, etc. ; hence, we are nowhere nearer to some utopian “feedback world” than we were pre-VAMs. All of the related research points to observational feedback, actually, to be the most useful when it comes to garnering and using formative feedback. (2) There is nothing “over-stated” in terms of the “connection between evaluation, accountability, and value-added.” Rather, what he terms as possibly “over-stated” is actually real, in practice, and overly-abused versus stated. This is not just something related to semantics. Finally, the one point upon which we agree, with some distinction, is that ESSA “is also an opportunity because it requires schools to move beyond test scores in accountability. This will mean a reduced focus on value-added to student test scores, but that’s OK if the new measures provide a more complete assessment of the value [defined in much broader terms] that schools provide.” ESSA, then, offers the nation “a chance to get value-added [defined in much broader terms] right and correct the problems with how we measure teacher and school performance.” If we define “value-added” in much broader terms, even if test scores are not a part of the “value-added” construct, this would likely be a step in the right direction. John Thompson, a historian and teacher, wrote a post just published in Diane Ravitch’s blog (here) in which he took a closer look at the New Mexico court decision of which I was a part and which I covered a few weeks ago (here). This is the case in which state District Judge David K. Thomson, who presided over the five-day teacher-evaluation lawsuit in New Mexico, granted a preliminary injunction preventing consequences from being attached to the state’s teacher evaluation data. A close reading of the ruling makes it clear that this case is an even greater victory over the misuse of test-driven accountability than even the jubilant headlines suggest. It shows that Judge Thomson made the right ruling on the key issues for the right reasons, and he seems to be predicting that other judges will be following his legal logic. Litigation over value-added teacher evaluations is being conducted in 14 states, and the legal battleground is shifting to the place where corporate reformers are weakest. No longer are teachers being forced to prove that there is no rational basis for defending the constitutionality of value-added evaluations. Now, the battleground is shifting to the actual implementation of those evaluations and how they violate state laws. Judge Thomson concludes that the state’s evaluation systems don’t “resemble at all the theory” they were based on. He agreed with the district superintendent who compared it to the Wizard of Oz, where “the guy is behind the curtain and pulling levers and it is loud.” Some may say that the Wizard’s behavior is “understandable,” but that is not the judge’s concern. The Court must determine whether the consequences are assessed by a system that is “objective and uniform.” Clearly, it has been impossible in New Mexico and elsewhere for reformers to meet the requirements they mandated, and that is the legal terrain where VAM proponents must now fight. As has become common across the nation, New Mexico teachers have been evaluated on students who aren’t in the teachers’ classrooms. They have been held accountable for test results from subjects that the teacher didn’t teach. Science teachers might be evaluated on a student taught in 2011, based on how that student scored in 2013. The judge cited testimony regarding a case where 50% of the teachers rated Minimally Effective had missing data due to reassignment to a wrong group. One year, a district questioned the state’s data, and immediately it saw an unexplained 11% increase in effective teachers. The next year, also without explanation, the state’s original numbers on effectiveness were reduced by 6%. One teacher taught 160 students but was evaluated on scores of 73 of them and was then placed on a plan for improvement. Because of the need to quantify the effectiveness of teachers in Group B and Group C, who aren’t subject to state End of Instruction tests, there are 63 different tests being used in one district to generate high-stakes data. And, when changing tests to the Common Core PARCC test, the state has to violate scientific protocol, and mix and match test score results in an indefensible manner. Perhaps just as bad, in 2014-15, 76% of teachers were still being evaluated on less than three years of data. The Albuquerque situation seems exceptionally important because it serves 25% of the state’s students, and it is the type of high-poverty system where value-added evaluations are likely to be most unreliable and invalid. It had 1728 queries about data and 28% of its teachers ranked below the Effective level. The judge noted that if you teach a core subject, you are twice as likely as a French teacher to be judged Ineffective. But, that was not the most shocking statistic. In Albuquerque, Group A elementary teachers (where VAMs play a larger role) are five times more likely to be rated below Effective than their colleagues in Group B. In Roswell, Group B teachers are three times more likely to be rated below Effective than Group C teachers. Curiously, VAM advocate Tom Kane testified, but he did so in a way the made it unclear whether he saw himself as a witness for the defense or the plaintiffs. When asked about Amrein-Beardsley’s criticism of using tests that weren’t designed for evaluating teachers, Kane countered that the Gates Foundation MET study used random samples and concluded that differing tests could be used in a way that was “useful in evaluating teachers” and valid predictors of student achievement. Kane also replied that he could estimate the state’s error rate “on average,” but he couldn’t estimate error rates for individual teachers. He did not address the judge’s real concern about whether New Mexico’s use of VAMs was uniform and objective. I am not a lawyer but I have years of experience as a legal historian. Although I have long been disappointed that the legal profession did not condemn value-added evaluations as a violation of our democracy’s fundamental principles, I also knew that the first wave of lawsuits challenging VAMs would face an uphill battle. Using teachers as guinea pigs in a risky experiment, where non-educators imposed their untested opinions on public schools, was always bad policy. Along with their other sins, value-added evaluations would mean collective punishment of some teachers merely for teaching in schools and classes where it is harder to meet dubious test score growth targets. But, many officers of the court might decide that they did not have the grounds to overrule new teacher evaluation laws. They might have to hold their noses while ruling in favor of laws that make a mockery of our tenets of fairness in a constitutional democracy. During the last few years, rather than force those who would destroy the hard-earned legal rights of teachers to meet the legal standard of “strict scrutiny,” those who would fire teachers without proving that their data was reliable and valid have mostly had to show that their policies were not irrational. Now that their policies are being implemented, reformers must defend the ways that their VAMs are actually being used. Corporate reformers and the Duncan administration were able to coerce almost all of the states into writing laws requiring quantitative components in teacher evaluations. Not surprisingly, it has often proven impossible to implement their schemes in a rational manner. In theory, corporate reformers could have won if they required the high-stakes use of flawed metrics while maintaining the message discipline that they are famous for. School administrators could have been trained to say that they were merely enforcing the law when they assessed consequences based on metrics. Their job would have been to recite the standard soundbite when firing teachers – saying that their metrics may or may not reflect the actual performance of the teacher in question – but the law required that practice. Life’s not fair, they could have said, and whether or not the individual teacher was being unfairly sacrificed, the administrators who enforced the law were just following orders. It was the will of the lawmakers that the firing of the teachers with the lowest VAMs – regardless of whether the metric reflected actually effectiveness – would make schools more like corporations, so practitioners would have to accept it. But, this is one more case where reformers ignored the real world, did not play out the education policy and legal chess game, and [did or did not] anticipate that rulings such as Judge Thomson’s would soon be coming. Real world, VAM advocates had to claim that its results represented the actual effectiveness of teachers and that, somehow, their scheme would someday improve schools. 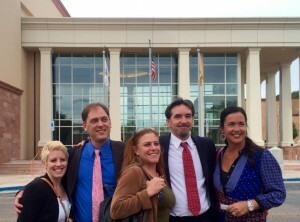 This liberated teachers and administrators to fight back in the courts. Moreover, top-down reformers set out to impose the same basic system on every teacher, in every type of class and school, in our diverse nation. When this top-down micromanaging met reality, proponents of test-driven evaluations had to play so many statistical games, create so many made-up metrics, and improvise in so many bizarre ways, that the resulting mess would be legally indefensible. And, that is why the cases in Florida and Tennessee might soon be seen as the end of the beginning of the nation’s repudiation of value-added evaluations. The New Mexico case, along with the renewal of the federal ESEA and the departure of Arne Duncan, is clearly the beginning of the end. Had VAM proponents objectively briefed attorneys on the strengths and weaknesses of their theories, they could have thought through the inevitable legal process. On the other hand, I doubt that Kane and his fellow economists knew enough about education to be able to anticipate the inevitable, unintended results of their theories on schools. In numerous conversations with VAM true believers, rarely have I met one who seemed to know enough about the nuts and bolts about schools to be able to brief legal advisors, much less anticipate the inevitable results that would eventually have to be defended in court. As per ScienceDaily, a resource “for the latest research news,” research just conducted by economists at Michigan State and Cornell evidences that “New school-evaluation method fails to affect housing prices.” See also a press release about this study on Michigan State’s website here, and see what I believe is a pre-publication version of the full study here. As asserted in both pieces, the study recently published in the Journal of Urban Economics, is the first to examine how the public release of such data is considered in housing prices. Researchers, more specifically, examined whether and to what extent the (very controversial) public release of teachers’ VAM data by the Los Angeles Times impacted housing prices in Los Angeles. To read a prior post on this release, click here. While for some time now we have known from similar research studies, conducted throughout the pre-VAM era, that students’ test scores are correlated with (or cause) rises in housing prices, these researchers evidenced that, thus far, the same does not (yet) seem to be true in the case of VAMs. That is, the public consumption of publicly available value-added data, at least in Los Angeles, does not (yet) seem to be correlated with or causing really anything in the housing market. “The implication: Either people don’t value the popular new measures or they don’t fully understand them.” Perhaps another implication is that it is just (unfortunately) a matter of time. I write this in consideration of the fact that while researchers included data from more than 63,000 home sales as per the Los Angeles County Assessor’s Office, they did so in only the eight-month period following the public release of the VAM data. True effects might be lagged; hence, readers might interpret these results as preliminary, for now. In this post I also included a summary of the AERA Council’s eight key, and very important points abut VAMs and VAM use. I also noted that I contributed to this piece in one of its earliest forms. More importantly, however, the person who managed the statement’s external review and also assisted the AERA Council in producing the final statement before it was officially released was Boston College’s Dr. Henry Braun, Boisi Professor of Education and Public Policy and Educational Research, Measurement, and Evaluation. In a recent posting, Michael Hansen and Dan Goldhaber complain that the AERA statement on the use of VAMs does not take a similarly critical stance with respect to “alternative measures”. True enough! The purpose of the statement is to provide a considered, research-based discussion of the issues related to the use of value-added scores for high-stakes evaluation. It culminates in a set of eight requirements to be met before such use should be made. The AERA statement does not stake out an extreme position. First, it is grounded in the broad research literature on drawing causal inferences from observational data subject to strong selection (i.e., the pairings of teachers and students is highly non-random), as well as empirical studies of VAMs in different contexts. Second, the requirements are consistent with the AERA, American Psychological Association (APA), and National Council on Measurement in Education (NCME) Standards for Educational and Psychological Testing. Finally, its cautions are in line with those expressed in similar statements released by the Board on Testing and Assessment of the National Research Council and by the American Statistical Association. Hansen and Goldhaber are certainly correct when they assert that, in devising an accountability system for educators, a comparative perspective is essential. One should consider the advantages and disadvantages of different indicators, which ones to employ, how to combine them and, most importantly, consider both the consequences for educators and the implications for the education system as a whole. Nothing in the AERA statement denies the importance of subjecting all potential indicators to scrutiny. Indeed, it states: “Justification should be provided for the inclusion of each indicator and the weight accorded to it in the evaluation process.” Of course, guidelines for designing evaluation systems would constitute a challenge of a different order! In this context, it must be recognized that rankings based on VAM scores and ratings based on observational protocols will necessarily have different psychometric and statistical properties. Moreover, they both require a “causal leap” to justify their use: VAM scores are derived directly from student test performance, but require a way of linking to the teacher of record. Observational ratings are based directly on a teacher’s classroom performance, but require a way of linking back to her students’ achievement or progress. Thus, neither approach is intrinsically superior to the other. But the singular danger with VAM scores, being the outcome of a sophisticated statistical procedure, is that they are seen by many as providing a gold standard against which other indicators should be judged. Both the AERA and ASA statements offer a needed corrective, by pointing out the path that must be traversed before an indicator based on VAM scores approaches the status of a gold standard. Though the requirements listed in the AERA statement may be aspirational, they do offer signposts against which we can judge how far we have come along that path.